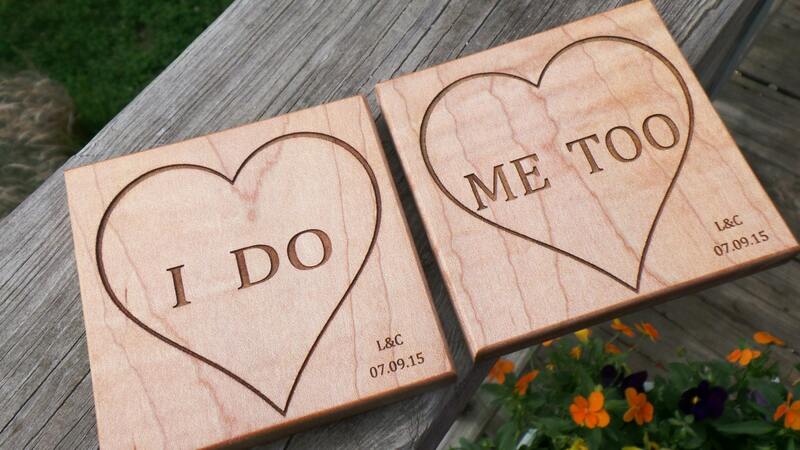 Looking for a keepsake custom gift for the new couple at the bridal shower you are attending? 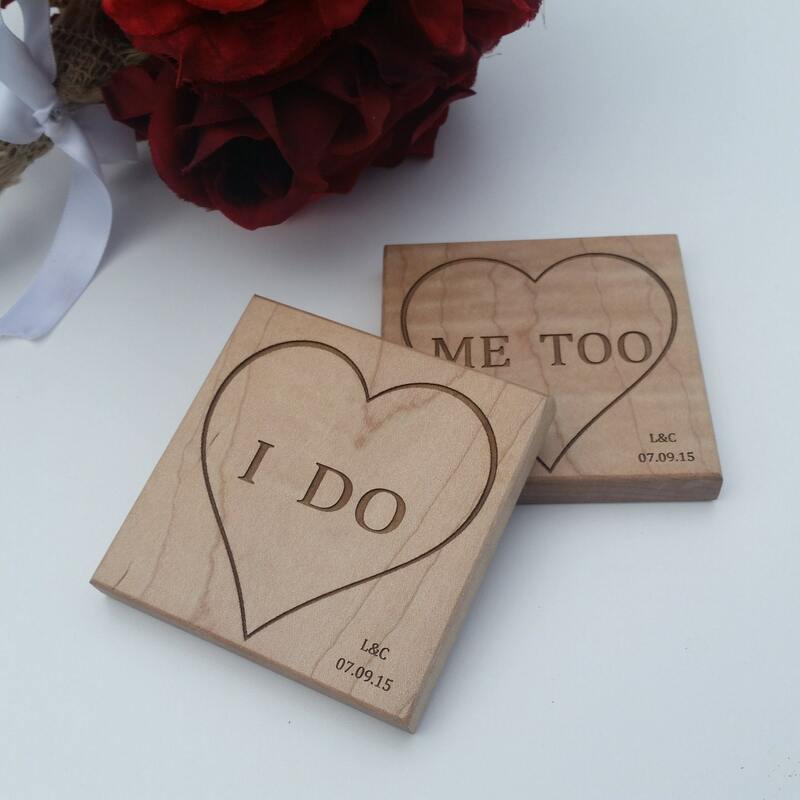 Our beautifully solid wood handcrafted crafted and laser engraved coasters are a one of a kind gift that the special couple will be able to treasure for years and years to come. 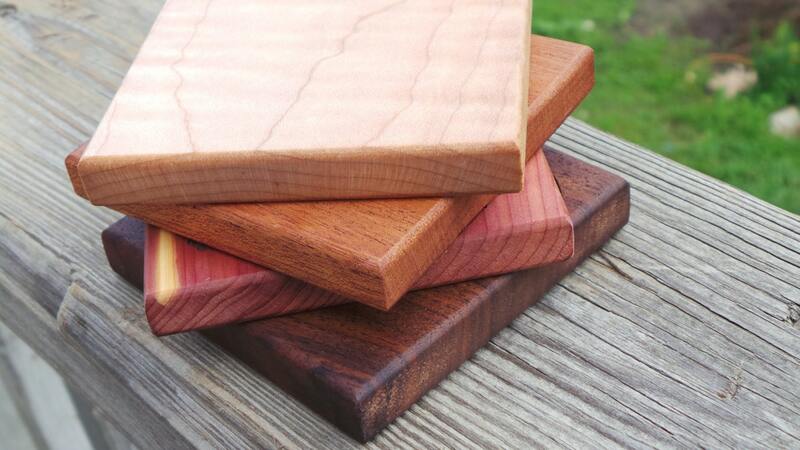 Each coaster is handcrafted crafted and designed by us in the USA. 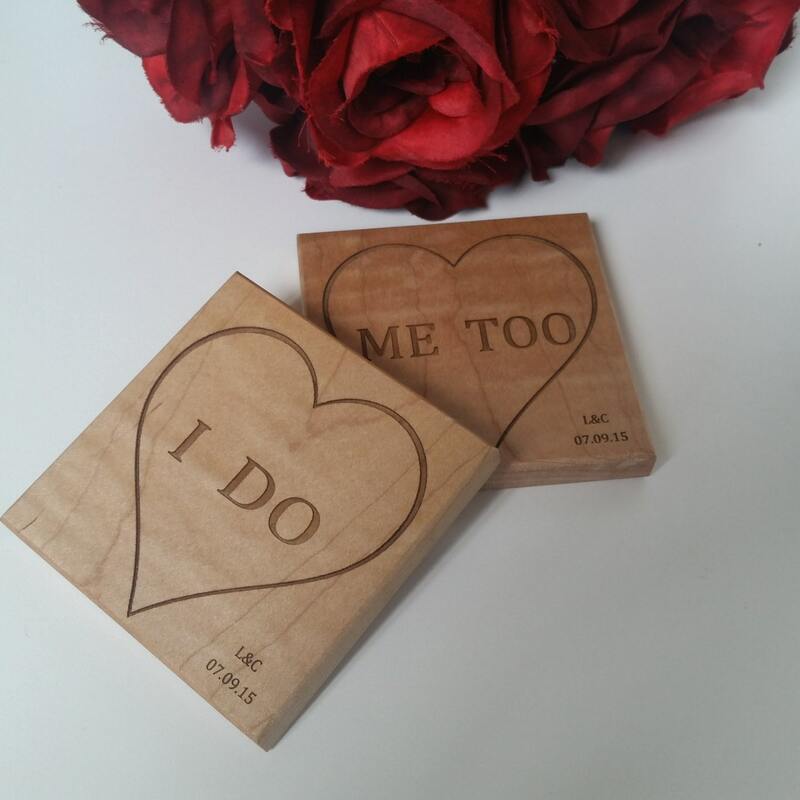 Shown on curly maple wood.